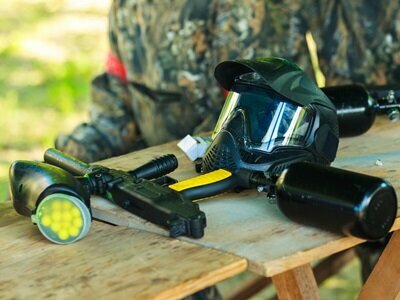 When playing paintball and carrying out military-like missions in the woods, you need to have the best paintball marker. Moreover, your marker should have an outclass performance that allows you to hit the target effortlessly. Dye Proto is one of the leading brands that produces the finest quality paintball markers. 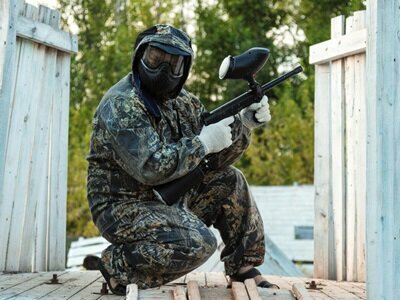 There are a variety of markers which are used by paintball enthusiasts. 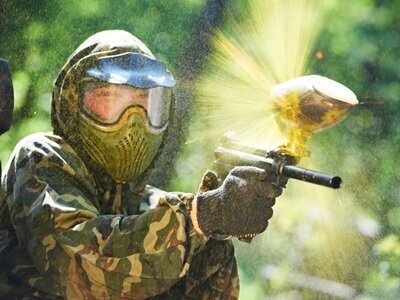 However, Dye paintball is the newest and most upgraded version of all. 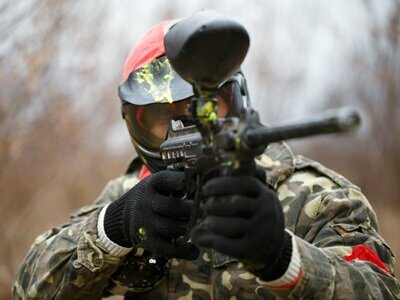 If you are confused about which paintball marker to buy, this detailed review will help you make up your mind. This paintball marker is the best choice for you if you are a beginner or an intermediate paintball player. When it comes to quality and performance, Dye breaks the norms. Without a doubt, this marker is the best paintball shooter that is suitable for most commercial fields. You will have to use it to believe it. The marker has amazing reviews on the internet. You can see a lot of happy customers out there who love its speed and performance. Therefore, I have compiled a list for you detailing its extraordinary features that sets it apart from its competitors. After reading the review, you won’t have a second thought about buying this paintball marker. However, you must ensure that it matches your playing style. 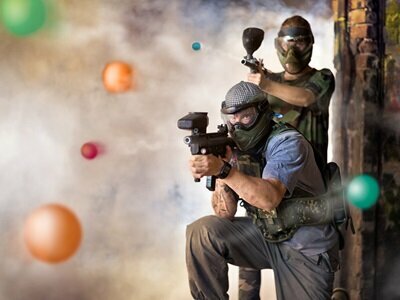 If you plan to make paintball your favorite outdoor activity, it is best for you to choose a paintball marker which is high-quality and reliable. You don’t want to waste your time and money on equipment which is not efficient enough for you to play well. Choosing Dye Paintball marker won’t surprise you when it comes to the quality and you’ll be able to shoot quicker with confidence. 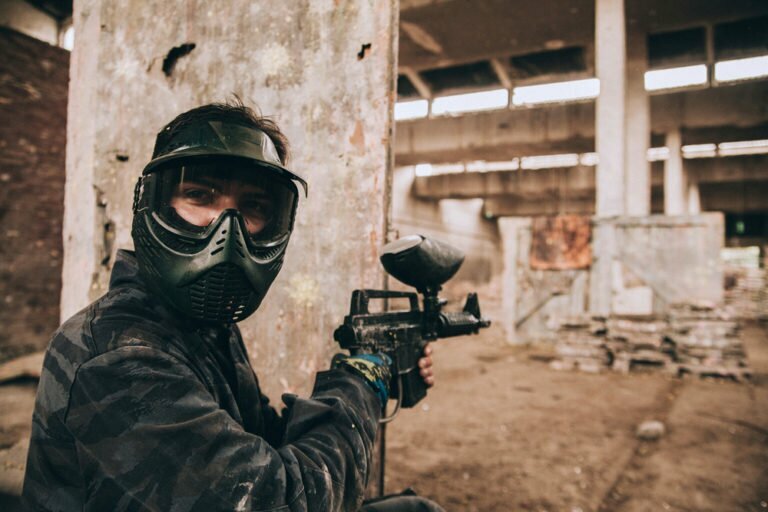 When it comes to playing paintball in the most effective manner, the most important point to consider is the accuracy and precision of your equipment. The main purpose of the game is to hit the target. There is no point in investing in a paintball marker which does not fulfill your basic requirement of the game. The 14-inch two piece barrel makes it an excellent gun with amazing shooting capabilities. You won’t have a hard time hitting your target. It is very important for you to consider whether the paintball marker you are choosing is lightweight. You don’t want to carry a heavy-weight marker and feel exhausted, after all, you want to have fun and boost your adrenaline. The lightweight equipment gives you an extra edge in the fight. The weight of the marker is approximately three pounds. It won’t affect your performance on the field. This ultra-light marker makes it easy for you to operate the gun. You will enjoy playing the game and won’t get tired of carrying it for long periods of time. Bear in mind, that being lightweight does not mean the marker is not constructed with the good quality material. Dye Proto makes does not compromise when it comes to quality. 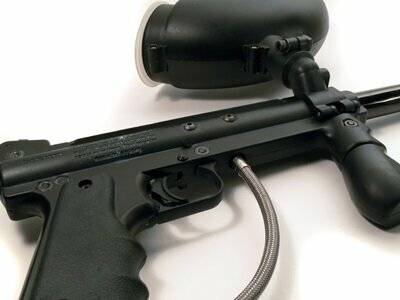 The sound is an important factor to consider while purchasing the most efficient paintball marker for yourself. You don’t want to make much noise and reveal your position. Dye marker is a reliable marker for you when it comes to having an optimal operating system. It is very quiet and ultra-powerful. It comes with a 140PSI which makes it one of the best markers available in the market. When you fire it, apart from being accurate and precise, it makes no noise. It never gets loud on the battlefield. If you want your paintball marker to last longer, it is important for you to look into its maintenance. If you neglect this factor, it might stop working to its optimal capacity. It is best to clean your marker after every use. Dye Proto paintball marker comes with a self-cleaning eye pipe breech system which filters the debris and dirt away from the marker. It will keep your eyes safe from unwanted particles. You won’t have a problem of it losing its shooting capabilities. You can clean the frame of the gun with a damp cloth or use some oil. A paintball marker is a heavy investment. You want your marker to be backed by a strong warranty policy. Dye Proto cares about your concerns and makes sure that you don’t have to deal with your problems with the equipment alone. The company gives you a 1- year warranty to allow you to play your game freely. Dye gives you high value for the money. It has all the features a high-end paintball marker should have. The price of the marker is just right and it won’t put a dent in your pocket. You’ll be more than happy to buy this marker for yourself if you are on a budget and don’t want to spend much. Allows you to perform well on the playing field. Thanks to the Patent fusion bolt spool valve technology it comes with amazing air efficiency. A self-cleaning system which prevents your eyes from dirt and debris in the air. Comes with a warranty of 1-year. Wrap around grip allows you to hold the marker with great comfort and ease. The quality of the marker is not as good as it should be. Not suitable for professional players. All in all, the Dye Maxxed paintball marker comes with amazing features. You’ll be able to have optimal control over your game if you choose to play with it. If you are looking for a paintball marker which gives you consistent performance and accuracy with great value, this is the perfect choice for you.